In the Walt Disney classic Bambi, hunters shoot and kill Bambi’s mom. (I hope that’s not a spoiler for you, but if you haven’t seen the 67-year-old movie now, you never will.) Well, now it’s the deer‘s turn for revenge, and rather than going after parents, they’re coming after children. While playing football in his backyard, 7-year-old Brandon Hiles was attacked by a mad deer. It charged, gored him, and flipped him over. Who knew that deer had such bad intentions? Apparently, during mating season, Bambi’s always on the prowl for either chicks or a fight (or both). Fortunately for Brandon, his friend Wyatt Pugh was there. Instead of running away like I would, Wyatt came to his friend’s defense by grabbing a stick and turning the table on Bambi’s brutal assault. 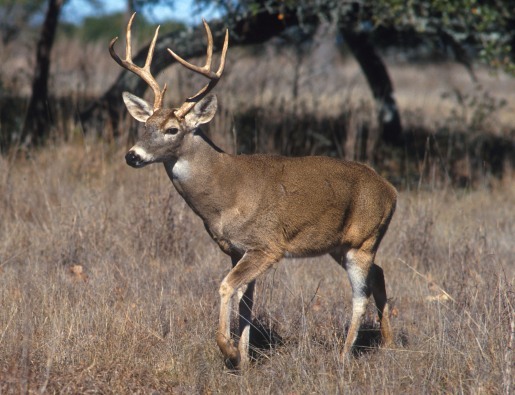 A few whacks with the branch, and the deer relents, allowing Wyatt and Brandon to escape and call 911 from the safety of Pugh’s grandmother’s house.